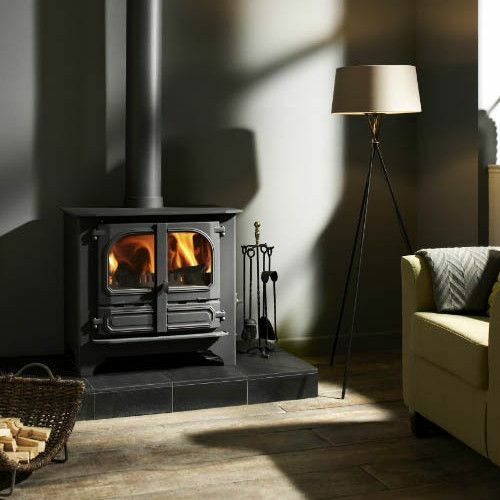 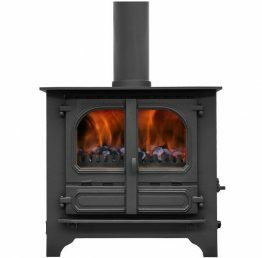 The Dunsley Highlander 10 multi-fuel stove has a superb air wash system designed to keep the glass clean by diverting a warm flow of air directly over the surface of the glass. 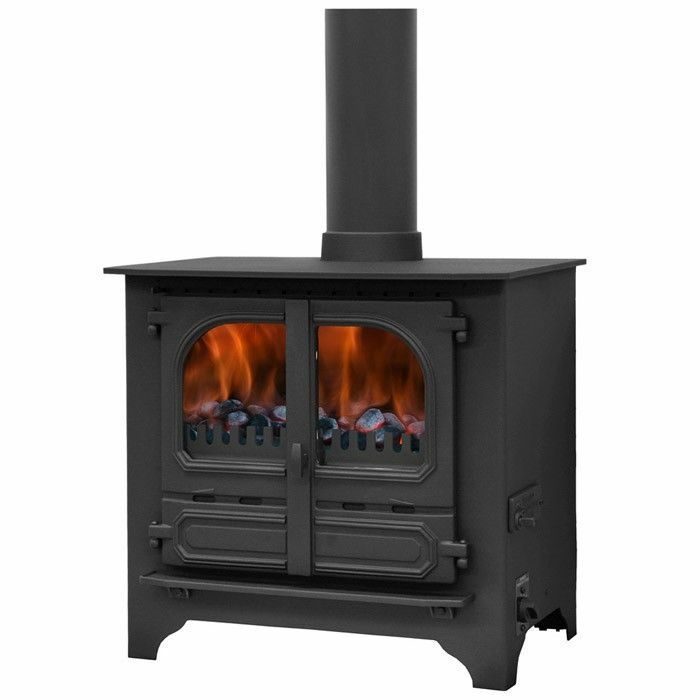 The Dunsley Stoves grate mechanism can be adjusted for burning wood or other solid fuels including: peat, coal and coal briquettes. 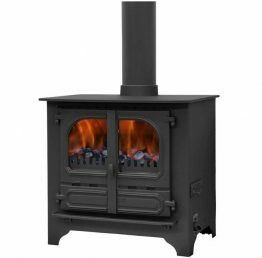 **NEW** The Dunsley Highlander 10 Stove is now available in a choice of single door (Solo) or double door. Call in-store from more details.